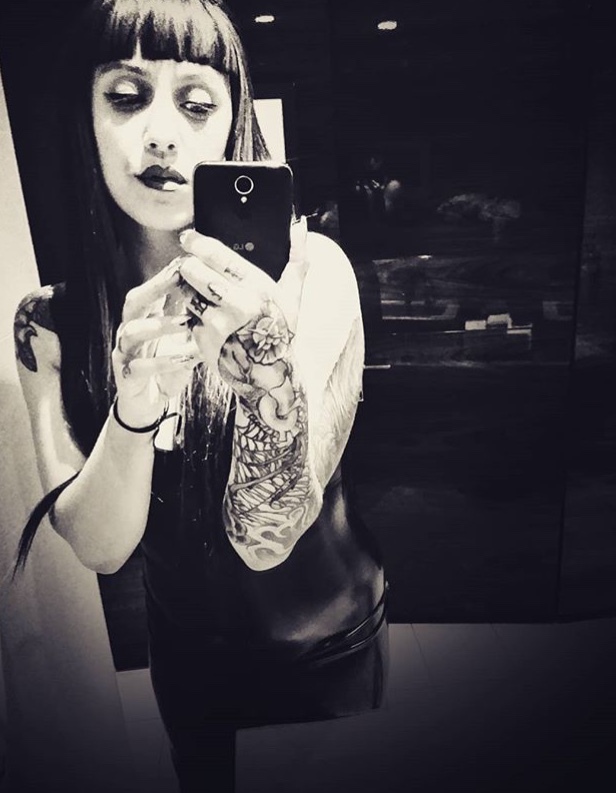 Our customers submit photos of themselves wearing Baroness latex! Ever wonder what goes on in The Baroness’ dressing room? This will give you a hint. 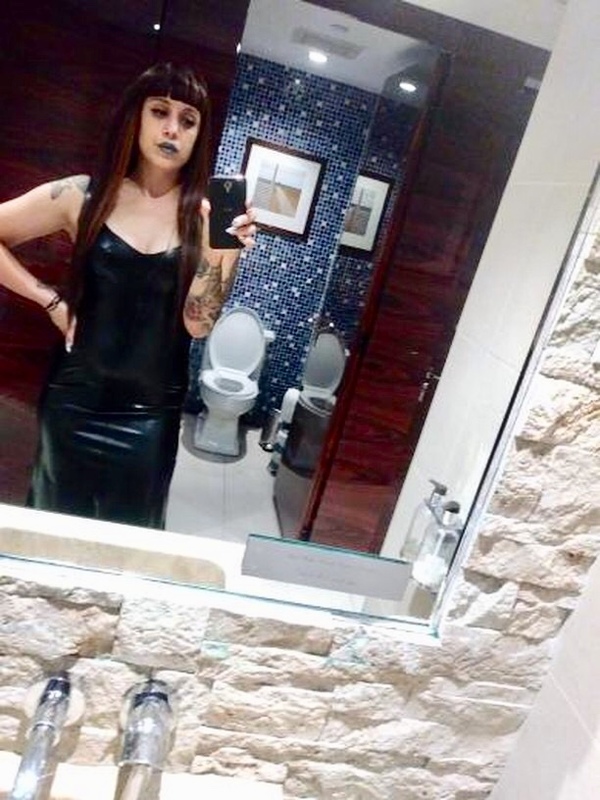 as the lovely goddess Anesthesia takes selfies and admires herself dressed in The Baroness latex tart dress. We made this cat woman outfit for Victoria Secret model Martha Hunt recently. It was a super rush, and as you can see she looks really amazing!! The package with the copper panel top and skirt arrived safe and sound. I am completely overwhelmed by how wonderful the fit is, and how good the cut makes me feel! From the length to the really flattering copper piece on the top, you created something that well, as you probably hear often, made me feel ‘more me.’ That’s no small feat, in that fetish items often leave me feeling more disconnected from my body rather than embracing it. I’m very pleased with the outfit, and so happy to have it in my colors! The waist hit at exactly the right point and the the latex itself feels (and of course smells) fantastic. The cut on the skirt for example, moves really well and comes in at the small of my back perfectly. As promised, I’ve included at least a couple of pictures. (Mike had some camera difficulties resulting in many blurry pix) these are not as clear as I would have hoped, but I felt it was more important to get you at least something than to hold off waiting for perfect.